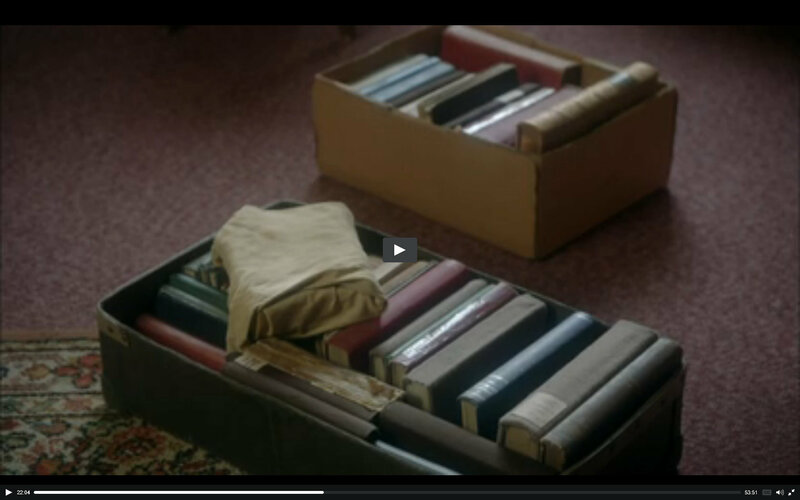 Catching up on the new season of Call the Midwife, I was captured by Sister Monica Joan’s compulsion to get her books in order. The Nonnatus House moves to a new location; she is fixated on her boxes of hardbound books, her board and brick shelves. And I watch with abounding empathy. I. get. her. Like Violet, the Dowager Countess of Downton Abbey, Sister Monica Joan gets the best lines. The community of Nonnatus House are patient and proprietary as SMJ toggles between dementia and a sound mind. Sister Monica Joan: I am not brought down now! I am well….and filled with purpose. Sister Evangelina: I can see that. Never been a reader, always a doer. Books passed me by when I was young. [It’s not too late, I plead with a character on a TV show. Sister Monica Joan: Oh, books have been my friends! I do not intend to forget what they have taught me. Sister Monica Joan, I love you. The most economical deal I found ($5.87) on the books (which we—the royal we—must read) is Tales from a Midwife: True Stories of the East End in the 1950s , which binds the three books (992 pages!) by Jennifer Worth about midwifery together. I purchased mine from a UK seller and received it in seven days. I’m highly interested in Jennifer Worth’s book about end-of-life care. This entry was posted in Drama, DVD, Quotes by alivingpencil. Bookmark the permalink. This is my favorite show and I love Sister Monica Joan too. : ) I’ve read the first book from Jennifer Worth and really liked it. Beautiful stories. I enjoyed reading your post! I’m visiting from the Saturday Review of Books link-up. Oh, Carol, we just need to live closer! Like within walking distance! I so loved reading this. How we both can pick up conversations about books, reading, and bookshelves! I’ve watched several episodes of Call the Midwife via Netflix, but I’m only in the first season. Since I really didn’t think my dh would like it, I’ve only watched on the nights he has call duty, and then, only occasionally. But he did see one, or parts thereof, and liked it. So, it may move into regular viewing together. The books…..I’d really never thought about them…that they even existed. Soooo, off I trotted to Amazon. My set of four is coming from the UK also, but my cost was much higher than yours, although decently priced for a set of four new books. Where did you find your deal….through Amazon? ABE? Keep reading, and keep writing about your reading. Before long, my shelves will be refilled! Wait a minute, Janie! You are my role model for culling books! I have an April 30 deadline to go through two boxes. I got the deal through Amazon, but only the three midwifery books. I still need to buy In the Midst of Life. 1. Being your neighbor would be crazy wonderful. Oh, man. It’s too much fun to imagine. 2. I watch these alone, for the most part, because my elk hunting, mountain man husband can’t abide the birth scenes. He actually covers his ears and hides behind me. He likes the other parts of the show, but women in labor are just too much for him. I think that’s funny! I’m just now seeing this……guess I forgot to check the “notify me of follow-up comments via email” box. My dh dislikes birth scenes too. He doesn’t like that aspect of privacy broadcast, nor does he care for the vocalizations! So………., did you make your Apr 30 deadline? Love you and wish we were backdoor neighbors! I so enjoyed the first season of Call the Midwife (except for the obligatory pro-abortion episode, yuck!). I am looking forward to watching more of this show, and Sister Monica Joan sorting her books sounds like a lovely development. The first season had many more scenes of the nuns singing. I miss that. I read somewhere that CtM is a nostalgic look back, implying that it idealized the 50’s. I can’t agree with that. There are some grim scenes in the East End. I got one or two of Worth’s books for cheap (or free?) for my (gasp!) Kindle, but I still haven’t read them. Amy, you write the most encouraging comments. I sure appreciate them! Thanks! I agree, SMJ is a favorite of mine and yes, is blesed with marvelous lines. *blessed* tapping on my kindle, which is a challenge for me! I’m thinking of you in Alaska, Miss Swiss Miss turned Frau M.